A Big Muddy Thanks to our Sponsors and Partners --we could not do this without YOU! 2018 has been full of challenges and new horizons. A long winter turned into an extremely short and sometimes volatile spring. Cold weather and the threat of more snow had us post-poning our first big clean-up of the year on the Osage River. The two community clean-ups that later happened saw spring thunderstorms roll in, post-poning the start of both events. Waiting out the storms before proceeding it is something that we've become accustomed to doing, working with the ebbs and flow of the river. Still, the adverse weather brought out only the best volunteers! And we found ALL the trash :). Had the weather not foiled our last two big education events of the year, we would have surpassed last year's student and teacher involvement in River Relief's education programs. 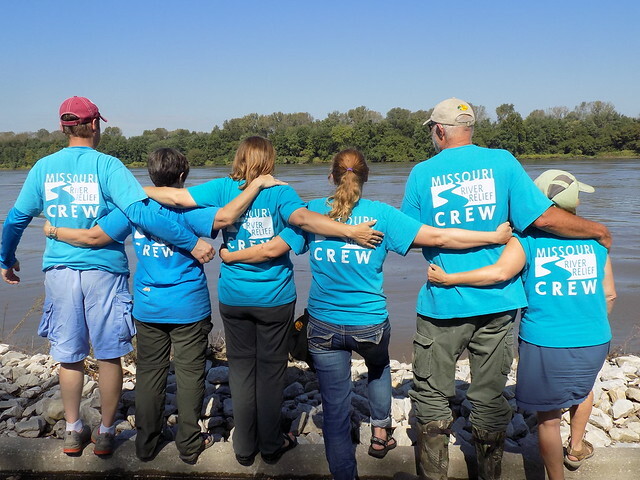 Without a doubt though, we can say that we worked to connect more people to the Missouri River than ever before, as more than 6,500 volunteers, students, teachers, attendees and paddlers participated in one or more river-related event in 2018! On August 1st, after a 6-month transition, River Relief welcomed long-time Program Manager Steve Schnarr as the new Director of Missouri River Relief. 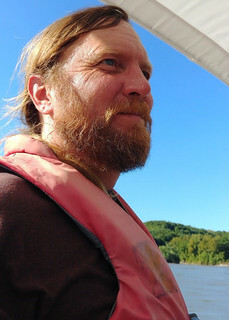 We are excited to have Steve at the helm of this incredible ship of staff, volunteer crew, and countless other patrons and volunteers that embrace our mission of connecting people to the Missouri River. At the same time, it was sad to lose the vision and dedication of our longtime leader, Jeff Barrow. He has built this organization for many years, and we deeply appreciate his hard work to keep this organization that means so much to us thriving. He promises to stay part of the River Relief family and we are grateful. Our education programs reached new heights this year as we invited more people to "notice" and "wonder" about the Missouri River in ways they hadn't before. The best feeling is knowing you are taking someone out on the Missouri River for their very first time. 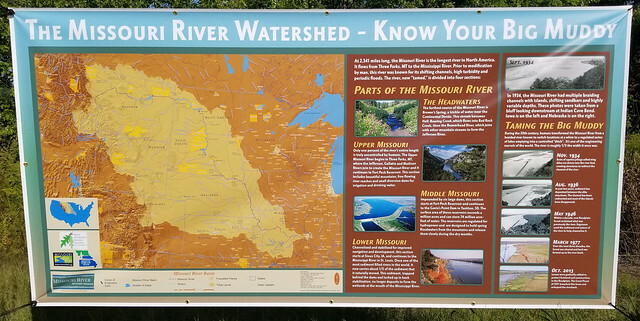 The goal of Missouri River Education is to build participants' knowledge and understanding of the Missouri River through hands-on experiences that will deepen their connection and sense of responsibility for its care and stewardship. The "Missouri River Days" and "Missouri River Academy" programs are one-of-a-kind educational experiences. "Katy Miller, Phaelen and Oliver’s mom, said she likes that her sons don’t have to rely on books or lectures to learn about the river. Instead, they learn about the river from the river itself.” – "River Becomes Outdoor Classroom" Columbia Daily Tribune. When not immersed in "on-the-river" events, we held Educator Workshops in Kansas City and Columbia with additional Environmental Education "Meet & Greets" and "Lunch & Learns" to network with formal and non-formal educators, like our partners at Fish & Wildlife, USGS and the Missouri Department of Conservation, with the goal of bringing the Missouri River to the classroom. 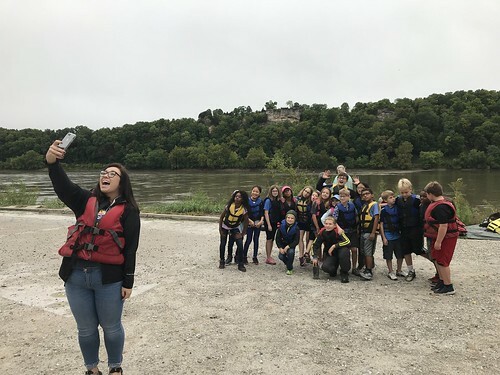 We also partnered with the University of Missouri Education Department to train a new round of teachers in deepening their use of the river as part of the Missouri River All-Stars After-School Program. These in-depth projects are already creating ripples statewide. with more curriculum and STEM challenges to come! You can find out more about STEM challenges and what they mean, at the bottom of our Education Resources page. MRR also operated free boat rides during the annual Eco-Art Fest at Cooper’s Landing and a support boat for the 100-mile Paddle MO trip organized by Stream Teams United. MRR boats and crews continued to run support for four paddling races—the “Spring 12” by Osage Paddle Sports, the “Race for the Rivers” by Greenway Network, the “Missouri American Water MR340” by RiverMiles and the “Race to the Dome” by Missouri River Relief. In addition, MRR continues to co-sponsor the monthly Big Muddy Speaker Series, host the annual Wild & Scenic Film Festival, and conduct outreach by setting up booths for a handful of community events. MRR stands out as a grassroots, equipment-based, action-oriented group. A compelling part of our story is the volunteer community called the Missouri River Relief Crew - a group of dedicated river lovers who travel up-and-down the river; who pitch camp, cook meals and celebrate success around the campfire. They are at the heart of everything we accomplish. Everyone who comes to an MRR on-the-river event becomes part of a trash cleaning team; shares an adventure on the river, and returns with stories to tell and memories to treasure. 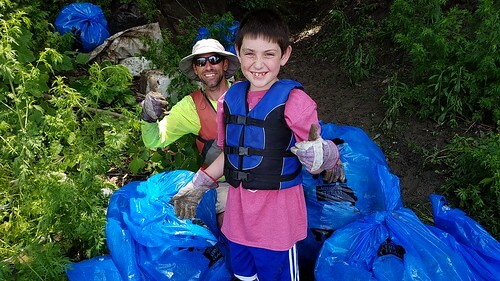 We invite you to join this community of people taking action on the river— there are many ways to help and everyone has something to contribute. Thank you for all that you do. Building this powerful community of Missouri River citizens is impossible without you.